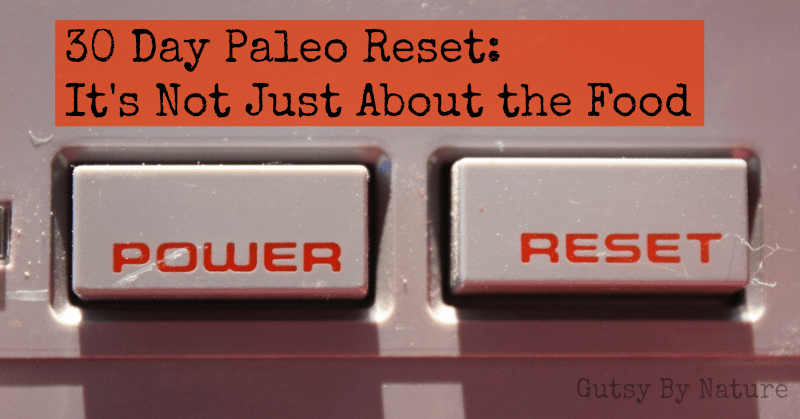 I’m two weeks into my 30 day paleo reset and am realizing that this whole experiment is about a lot more than whether I eat dairy, grains, and legumes or not. 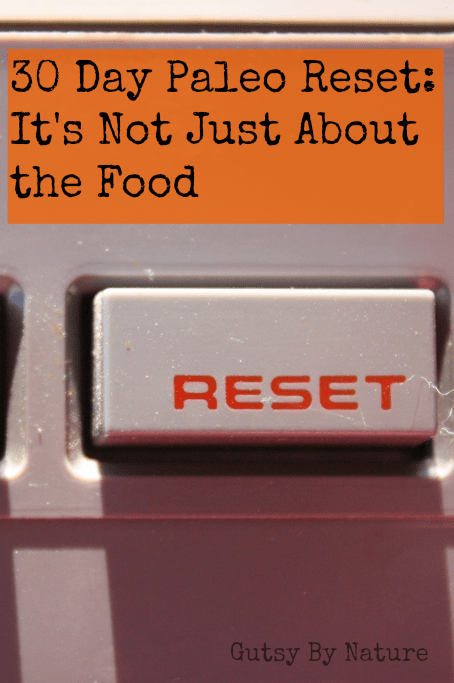 Food is the medium, it is the material we have to work with, but the real challenge of a reset program like this one lies in the habits, emotions, and thoughts that surround food and health and body issues. And for me – like for most people – those issues are complex. I’m almost at the half way point and a few things are becoming clear. One, I really miss eating cheese and ice cream. But, my digestion is so much better without it that I really need to be honest with myself about whether dairy is something I tolerate. I was born and raised in Wisconsin, where the whole “cheesehead” stereotype is not much of an exaggeration, and am the granddaughter of dairy farmers on both sides so this is extra tough for me. I’m not sure whether the issue is lactose or the dairy protein. If it is the former, then I theoretically should be able to still eat aged cheeses without issue. Alas, that is where the emotional issues come in to play. You know how some people can’t control themselves around chocolate and ask their partner to hide it from them? Or how people say they will eat the whole bag of potato chips once they eat a single one? I’m that way about cheese. Once I allow myself one bite, then it becomes something I crave and will find reasons to eat it with everything. My friend Stephanie of the blog Stupid Easy Paleo wrote an article a while back that explained how casein can break down in the gut to create an opioid effect. I tend to think it is a mental thing for me, but perhaps there is something to her theory! On the positive side, I’ve realized how much I really love good food! I’ve written before about the long stretches of time I wasn’t allowed to eat anything at all by mouth when I was between bowel surgeries and trying to allow my damaged gut to heal. 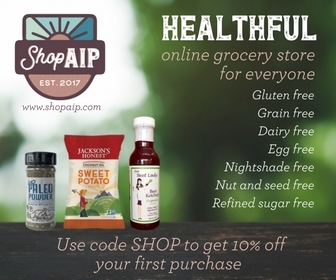 But I haven’t written much about the period of time that followed, when I was tapering off of the IV nourishment and was supposed to start taking in enough calories and nutrients on my own. It was a time of great stress and anxiety for me as I was trying so hard to do the right the thing, gain weight, and stop the worried looks my family and friends were always giving me. My appetite was nonexistent and I had to force myself to eat. Food tasted like nothing and I dreaded sitting down to meals because the piles of food were simply overwhelming. Two bites and I was so full I felt nauseous. Just the smell of food could turn my stomach. I’m happy to report that now those memories are so distant they almost seem like a bad dream. My appetite now is robust and I look forward to every meal. I appreciate the tasty food and also my hunger in a way I don’t think people who have never experienced what I describe in the previous paragraph could. I have continued to chronicle my meals in pictures on Instagram and Facebook and enjoy getting “likes” and comments on them. In week one my goal was to create a plan and stick to it, in week two my goal was to work on increasing the nutrient density of my food. As I move into week three, I want to now work on reseting my thoughts and emotions surrounding food, my health, and my body image. This is a BIG goal, and not one that is easily measured, so my plan is to start addressing it by prioritizing some techniques for reducing stress and dealing with mind-body issues and setting a few mini goals for the week. Set aside 30 minutes to meditate every morning. Take at least two yoga classes this week. Write in my journal every day. No set topic – just start getting back into the habit of daily writing. Turn off the computer and phone before 9PM every night in order to unwind and set the stage for quality sleep.